To reach the Hebridean island of Islay (pronounced eye-la), home to some of the peatiest single malts on the planet, I took the ferry from Kennacraig on Loch Fyne. Approaching Port Ellen, the smoke belching from the chimneys of three of Islay’s iconic distilleries (Laphroaig, Lagavulin and Ardbeg) stung my nostrils. Set on the jagged coast punctuated with rock outcroppings, the distilleries all adhere to the same style—whitewashed outer walls with their names painted in huge black letters on the seaward side. Now, a wee primer on Islay’s whiskies… Irish monks originally brought the art of distilling the uisge beatha (water of life) to Islay in the 14th century. It was an ideal location due to its unlimited supply of peat and soft pure water. Originally, the islanders made their brew in illegal stills and even though an Excise tax was declared in 1644, excise men didn’t venture onto Islay until 1797 because they regarded the natives as wild barbarians. Though only 600 kilometers square, Islay now boasts eight legal distilleries with names best pronounced with a rich Scottish brogue: Laphroaig, Lagavulin, Ardbeg, Bowmore, Kilchoman, Caol Ila, Bunnahabhain and Bruicladdich. The three ingredients for making whisky are barley, water and yeast. But the alchemy depends on where that water comes from, how long the barley is malted and smoked over peat fires, the shape of the stills and the skill of the master blender. All these factors and more give each distillery’s whiskies their distinctive taste and style. There’s no right or wrong way to drink single malts. Some are best enjoyed straight while others benefit from a few drops of water causing an exothermic reaction that heats up the whisky. The liquid smoke or “reek of peat” found in Islay whiskies depends on their phenol levels, which generally range from two (Bunnahabhain) to 50 (Ardbeg). Each of the distilleries has its own claim to fame. Laphroaig, established in 1815, is the preferred tipple of Sean Connery and Prince Charles who bestowed upon it a Royal Warrant in 1994. Ardbeg generally brews the peatiest single malts. But not to be outdone, Bruichladdich has produced Octomore, the peatiest in the world with 140 parts phenol. I almost gagged on the iodiny briny flavour. Margaret suggested it might be the ideal dram to offer a guest who has long outstayed his/her welcome. Every distillery offers a variety of tours depending on your enthusiasm. I recommend Bowmore’s Craftsman’s Tour lasting about three hours. Visitors see and sample the entire process from tasting the water fresh from the River Laggan to shoveling the germinating peat on the malting floor to getting grain in their shoes in the room where the peat is smoked. We also pulled on rubber boots and drove to Bowmore’s bogs with a couple of characters named Scott Shaw and Ginger Willie who gave us a peat cutting lesson—not an easy task. In fact, it can be perilous. Ginger told us that one keen visitor sank up to his neck into the bog. His wellies are still buried. Back at Bowmore, head distiller David Turner gave us a taste of the clear alcohol, called new make, before it matures in bourbon or sherry casks in the warehouse dating back to 1779. It was cold and damp and that’s exactly what whisky loves during the aging process. We warmed up at the tasting bar. “If you can’t find a Bowmore to fall in love with, you may have to consider very seriously the possibility that you’re wasting your money drinking whisky at all,” remarked Iain Banks in his book Raw Spirit: In Search of the Perfect Dram. I was quite smitten by Bowmore’s 25-year-old elixir with notes of toffee, sherry and hazelnuts. It slides down nicely with a buttery shortbread. 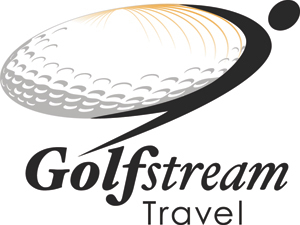 Golf Stream Travel will help you plan your trip to Islay.